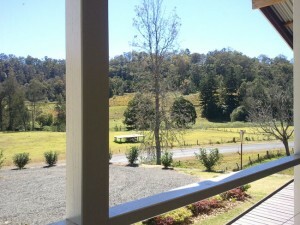 40 kilometres outside of Kyogle is a long way to go for a coffee. It is also a very unlikely location for a decent cafe, let alone a restaurant. However there it was, just over the New South Wales and Queensland border by Lions Rd. “Cafe 100m” painted onto the side of a building was not the most promising first impression. It got better once we got there however. 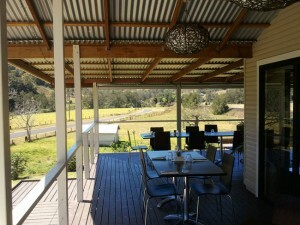 The restaurant is a single storey building with a wrap around veranda set on a rise facing a hill across a few fields. We sat outside on the veranda, with a view of the occasional cow and the faint sound of bellbirds in the distance. 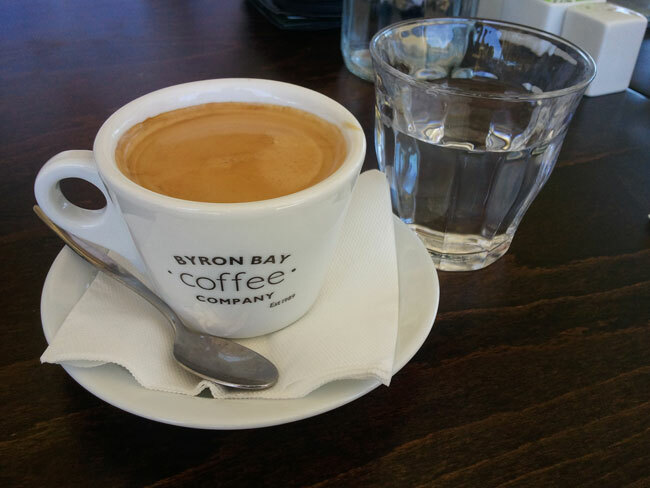 Ripples on the Creek’s menu is interesting, with most of the ingredients sourced locally and the coffee supplied by the Byron Bay Coffee Company. 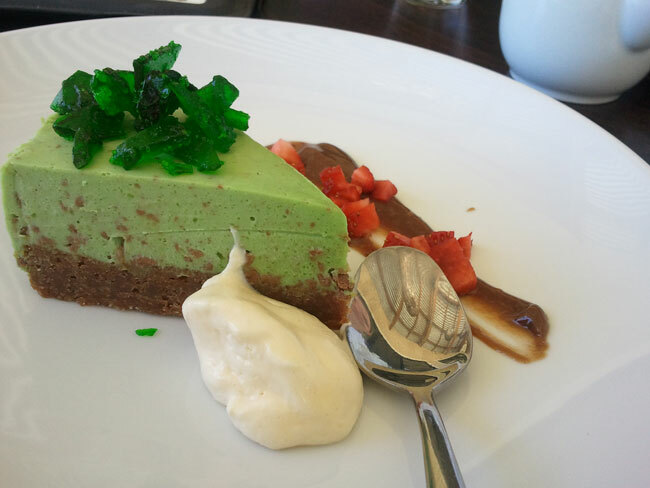 As attractive as the lunch menu was, I settled on a chocolate and mint cheesecake and a long black. The coffee itself had a light flavour which seemed more fruit than chocolate. The cheesecake was exactly as described. Mint with chocolate base, and with a mint toffee garnish. Unfortunately I could not post any of this to Foursquare or Instagram, as it seems that just north of Kyogle has poor wireless coverage. I was not expecting to find something like Ripples on the Creek in country New South Wales, or any other state. The quality of the food and coffee that I had was good, and the location picturesque. Just outside of Kyogle is certainly a long way to go for a coffee, but if you are in the area, at least it is there.